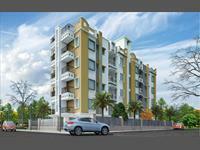 Looking for a property in Salt Lake Sector-5? Have a property in Salt Lake Sector-5? Salt Lake Sector-5 is an IT Hub, a Financial Sector in Eastern India located at Kolkata - North. All major companies are doing their business form this sector. All modern amenities and facilities are easily available to setup a new corporate address over here. Very well connected from all other parts of Kolkata as well as Eastern India. Airport, Railway Station, Metro Station, posh residential area, all are very nearby from Salt Lake Sector-5. Well connected from other parts. Good social and political environment. Modern amenities and facilities are easily available. Salt Lake Sector-5, Kolkata is rated 7 out of 10 based on 2 user reviews. Have a good knowledge of Salt Lake Sector-5? Share it and become a Locality expert. Serene ambiance and lifestyle of leisure. Office Space for Sale in Salt Lake, Sector V.
Office Space for Rent in Salt Lake, Sector V.
Office Space available in Salt Lake, Sector v.
Corporate Office space available in Salt Lake, Sector v, Kolkata.